There’s a brand new student night coming to Coppers in 2018. 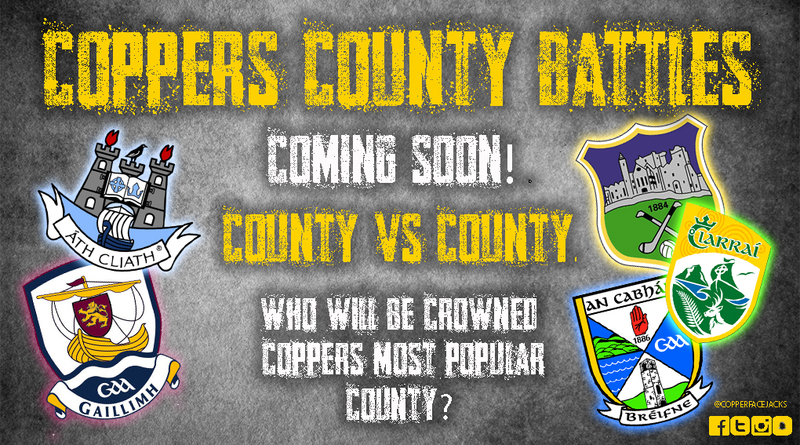 We’re having a mini All Ireland of our own, with the launch of ‘Coppers County Battles’ on Wednesday 24th of January. How does it work? Each week, two counties will be selected to battle it out. It will be up to the public to represent their county by wearing their county’s jersey. The county who had the most jerseys on show that night will win the battle, and progress to the next round. The competition will run until we have a winner, and find Coppers’ most popular county. Did we mention that you get FREE ENTRY for wearing your jersey that night. You can literally win your county an All Ireland title by going on the sesh!